My heart and soul lays with Italian wines, but it doesn't mean I don't like all wines. When I'm offered the opportunity to explore other grape varietals from other countries I'm all about it. 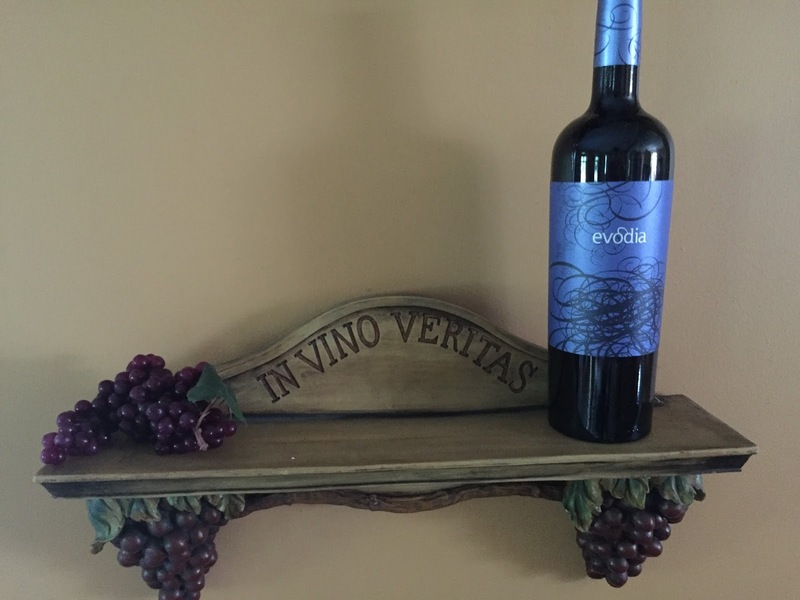 Nothing makes a better wine drinker than an educated wine drinker with a diversified palate. Friday September 16th was Garnacha Day and like many around the world folks were opening bottles in celebration with many chit chatting online about the Garnacha in their glass. It's easy to remember as it's always the 3rd weekend in September. 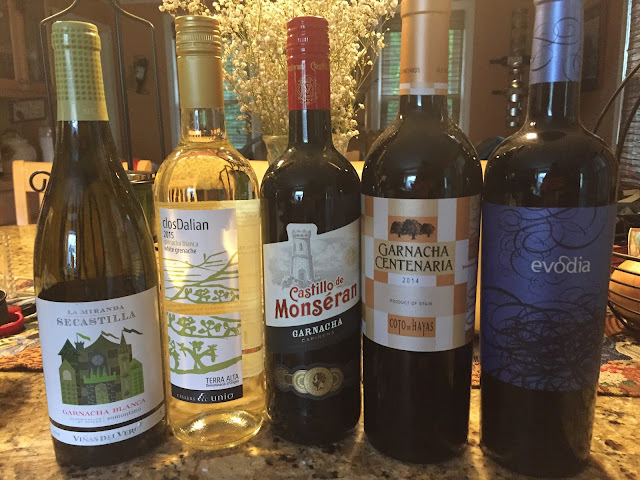 I was fortunate to receive some samples from Snooth and invited to join an online chat with many of my fellow wine bloggers that was hosted by Snooth and moderated by Master of Wine Christy Canterbury and Master Sommelier Laura Maniec of CorkBuzz. Lots of great buzz and laughs and if you ever have the opportunity to jump in on a virtual tasting don't be afraid to do so. You don't have to be drinking what those online are, but many you can be sampling another bottle of the same grape that is being discussed or just jump on and join the chat. There is lots to be learned in the wine world for all. Garnacha is the 3rd most planted grape in Spain. It's the same as Grenache that you'll see in French wines and Cannonau in the wines on the island of Sardini, Italy that I've previously written about. 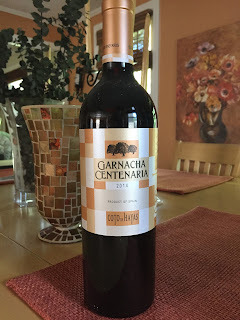 What makes garnacha unique is that you can find it as a red wine, rose' and white wine and there are a large variety of styles having always been a blended grape to single bottlings of 100% garnacha. This was a first for me sampling a white grenache. There is such a large variety of price points that it can be found at so there is something for everyone. According to Christy, garnacha has been around since 1513, but there have also been tracings since BC. Based in Catalonia, Terra Alta, meaning high lands, is named after the high altitudes of where this eastern wine region is located. It's a fairly newer region that was established 1982. 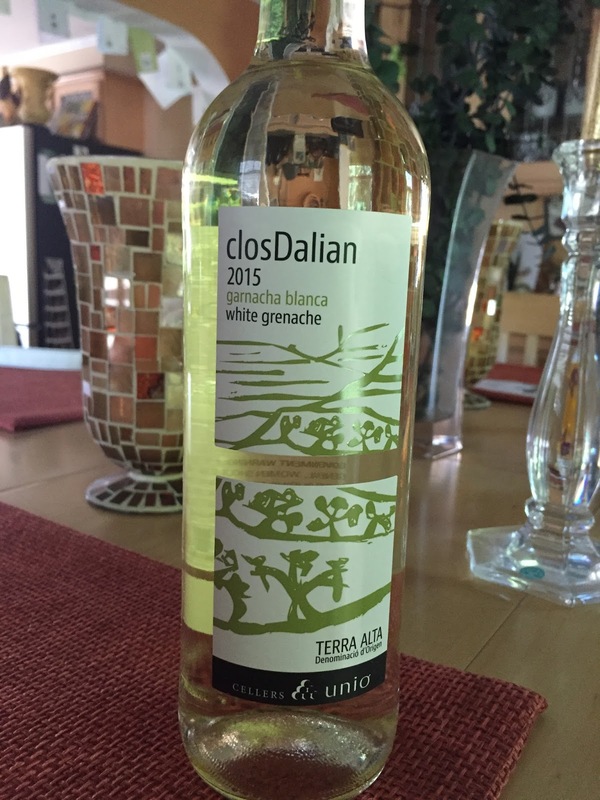 This wine is packed with citrus (lemon), minerals, high acidity with a good finish. It's a software wine with good flavor compared to the next one that has more body. Stainless steel. 12.5% ABV. $10 SRP. Located in the foothills of the Pyreenees Mountains and another region rather new established in 1984. Laura compares this wine to a chardonnay or viognier. Aged 4 months in French oak that gives it the vanilla notes. A wine with nice aromatics, citrus (lemon), apples and a creamy texture. ABV. $10-12 SRP $16. Christy describes the Carinena region as the birthplace of Garnacha and is “windswept, rustic landscapes with ravines and castles perched on mountains. Located in the western portion of Aragon. A wine with a deep, dark color. Easy drinking with ripe red fruit, herbs and baking spices. ABV. $10 SRP. Also located in the western portion of Aragon. Very old vines (in Spain can be about 40-50 years old per Christy) at very high altitudes. Another wine with deep, purple hues. A very perfumed wine of violets and dark cherries on the palate. 15% ABV. $10 SRP. Located up in the mountains with a continental climate. The wines are produced from vines that are at least 50 years old. This wine is aged in French oak. A complex wine with notes of orange ending with a long finish. $13-15 SRP. 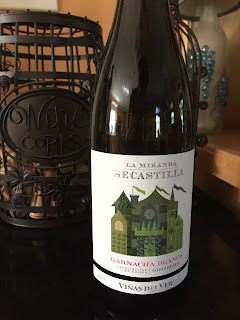 My top picks from the tasting were the 2013 Vinas del Vero La Miranda de Secastilla Garnacha Blanca and the 2014 Cote de Hayas Centenaria Garnacha, but that definitely doesn't mean I didn't enjoy the others. What's interesting is the Cote de Hayas Centenaria was also a top pick for me last year amongst the others tasted then. The biggest take away from this tasting was the value with all bottles having an SRP (suggested retail price) under $15. That is one thing I have always realized with Spain is that there are great values when it comes to their wines and this tasting was additional proof. 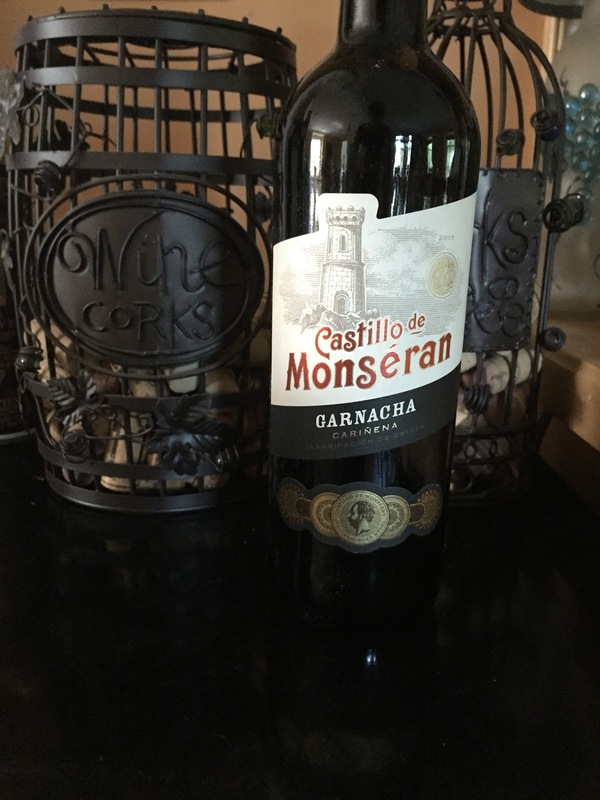 Have you tried Garnacha or other versions of it and what are your thoughts? I love to hear from my readers!